This attractive hotel, designed in typical country style, lies only a few metres away from the wonderful Potokaki beach. The famous harbour of Pythagorio is also only a few minutes from the hotel.This hotel has a total of 130 rooms, of which 2 are suites, as well as a number of studios. In addition to the lobby, the currency exchange desk and hotel safe, guests are offered a small supermarket, various shops and a public Internet terminal. The culinary options include a snug bar with a TV and an à la carte restaurant with international and Greek cuisine. Laundry services are also included within the hotel facilities. Younger guests may participate in the kids'' club activities and let some steam off in the children''s playground. Further leisure facilities for children include a mini zoo. Guests are also offered the opportunity to hire bikes or a car from the hotel.The tastefully designed rooms each include an en suite bathroom with a hairdryer. Further furnishings include a direct dial telephone, satellite and pay TV, a hi-fi, Internet access, a fridge, air conditioning and hire safe. 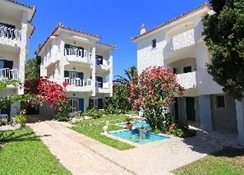 The studios additionally include a kitchen, a coffee machine and a large veranda.There is a swimming pool available for use with separate children''s pools in the well-maintained hotel grounds. There is also a snack bar on the beach with live music. Sports enthusiasts may like to play tennis.A breakfast buffet is available every morning. Evening meals may be selected from the set menu. 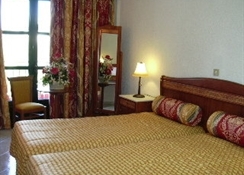 This hotel has a total of 130 rooms, of which 2 are suites, as well as a number of studios. In addition to the lobby, the currency exchange desk and hotel safe, guests are offered a small supermarket, various shops and a public Internet terminal. 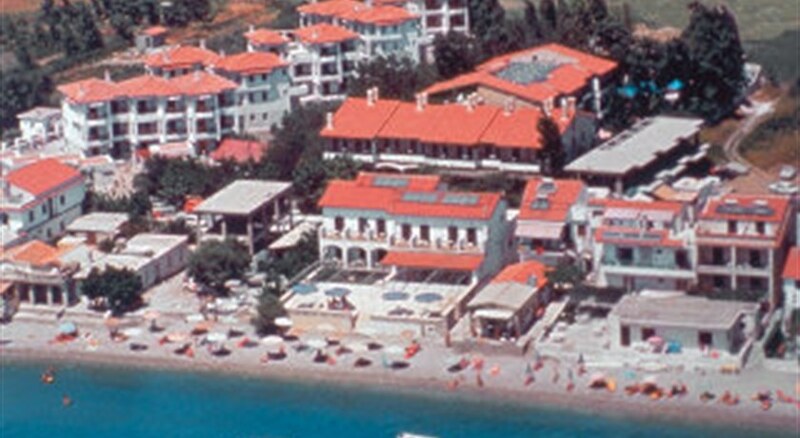 The culinary options include a snug bar with a TV and an ï¿½ la carte restaurant with international and Greek cuisine. Laundry services are also included within the hotel facilities. Younger guests may participate in the kids' club activities and let some steam off in the children's playground. Further leisure facilities for children include a mini zoo. Guests are also offered the opportunity to hire bikes or a car from the hotel. A babysitter is available on request.